A bright pair of mottled, rich, apple green, natural Burmese jades make for a cool pair of cufflinks. Designed as concave rectangular, 7/8 by 5/8 inch plaques, crafted in Florentine finished 14K yellow gold. Circa 1950s-60s. 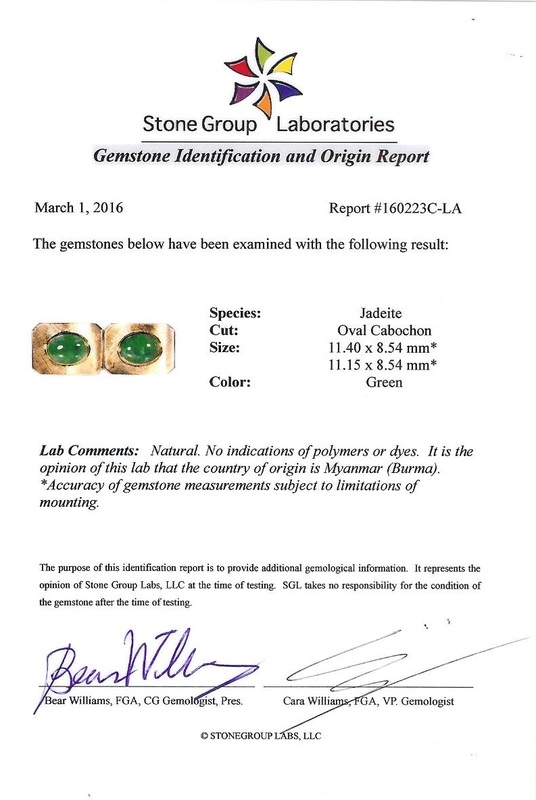 Accompanied by an SGL gemological report stating, natural color-Burma origin.